Lego Star Wars has released a bunch of collectible toys, play-set accessories, video games, and so much more which captivates both kids and adults. If you're looking to add these items to your collection, you better grab them while they're at their cheapest by looking for special offers. Collectibles like these usually get out of stock in a snap. Use voucher codes for these games and toys from retailers such as Amazon, John Lewis, GAME, The Entertainer, Toys R Us, Base and Argos. These Lego Star Wars collectibles are great for Christmas and birthday presents and they certainly won't disappoint. 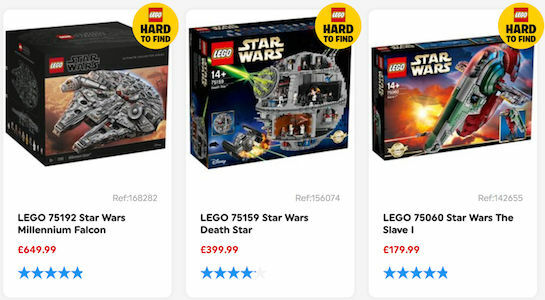 Add a LEGO Star Wars to your growing collection without hurting your budget with the latest deals and voucher codes from UK retailers you can find here at Latest Deals! The concept of creation and perception, most especially of the imagination, is good in being able to construct something out of the mind. To imagine, create and build, these are what LEGO is all about. Its owner, Godtfred Kirk Christiansen envisioned the toys of its company to not just be fun, but also educational at the same time. In the year 1999, Lego earned the rights to utilise Star Wars in their brand name. This was the beginning of their Lego Star Wars set production. Its line was said to be the very first line to be inspired from a major motion picture. Indeed, the theme is one of the many themes that manufacturer products. Regardless, that idea opened a whole new universe of creative ideas for this leading toy brand. No wonder why the Star Wars Lego is followed by many Star Wars fans out there. If you are one who is still yet to discover what this brand has to offer your Star Wars heart, and then you can begin with its The Death Star feature. It has 24 figures that contain multiple characters who wear various costumes all straight from the movie. No one is old enough for Star Wars Lego. There are various options you can choose from the internet. What is even better is that you can buy one from you without hurting your wallet. Check on affordable deals and own the latest Star Wars Lego at an affordable price. Where Can I Find Cheap Lego Star Wars UK? From Kessel Run Millennium Falcon, Imperial The Fighter, Moloch’s Landspeeder, Han Solo’s Landspeeder, Yoda’s Hut, Imperial Patrol Battle Pack and more, Latest Deals got them all covered. Find Lego Star Wars sale clearance without difficulty. This is made possible because of the special offers, sales, voucher codes, freebies and discount codes shared by our huge community of bargain hunters. 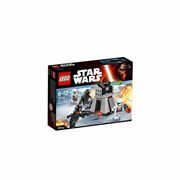 With our team of money-saving experts online who generously share Star Wars Lego deals and voucher codes, you can take advantage of affordable offers and own Lego Star Wars sets in no time without hurting your pocket. Most offers are from your trusted retailers including Amazon, ASDA, Coolshop, eBay, GAME and more. Amazon. Buy Lego Star Wars Sets and make the most of Amazon’s warehouse deals. Engaging with the new generation of Star Wars fans becomes easy with these affordable sets. From Finn, Kylo Renn, Darth Vader and Jango Fett - explore and collect models and figures easily. There are many kits from this retailer suitable for older and younger kids. Get some for them. Argos. Head to the Toy’s Department of Argos and find what you are looking for. Choose from its numerous kinds of playsets on clearance so that you may build up a collection inspired by your favourite scenes from the movie. Aside from this, the game is also available in Xbox One and Playstation 4 if you are up to Lego Dimensions. Coolshop. If you are still hunting for Lego Star Wars 1 & 2, Complete Saga (UK), then go straight to Coolshop and check what it has in store for you. This Complete Saga will enable your family to enjoy through all the Star Wars movies. Use discount and voucher codes to get this without spending a lot. John Lewis. Enjoy the clearance sale of John Lewis for Lego Star Wars. Pick from The Empire Strikes Back, Han Solo’s Landspeeder, Range Tropper, Han Solo for as low as £30. 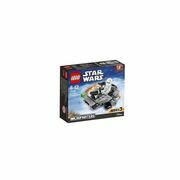 With its wide array of options, you can pick the best Lego Star Wars set that is suitable for the age and preference of your child. The Works. 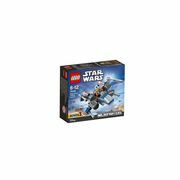 Get Lego Star Wars from this online shop and make the most of great discounts from your purchase. From Lego books, toys and others - there is a wide range of options Lego lovers will enjoy. Refine your search by price, and other filters and take advantage of the waiting deals for you. Watch the official UK LEGO Star Wars: The Force Awakens announce trailer. The Ghost. With 929 Lego pieces, this set features Stormtrooper, Zeb Orrelios, Kanan Jarrus. Apart from the Star Wars: Rebels considered to be the best from the Star Wars series, this is impressive on its own too. It comes with 2 cockpits, storage hatches, spring-loaded shooters, and rotating gun turret. However, the coolest part of it is that its dock has a shuttle too - which is the Phantom. The latter is sold separately but it goes well together, regardless. TIE Fighter. With 413 pieces, this set has Death Star Trooper, R5-J2, Imperial Officer and the TIE Fighter Pilot. While there have been other models that also have the TIE Fighter, this model is considered to be the best for it embodies a sleek-yet-powerful ship design that every fan surely wants. Even if it only comes with 413 pieces, this model is impressive enough without outdoing it, most especially Vader’s Advanced TIE. And the nice bonus is - the TIE fighter model is equipped with an evil droid R5-J2. Death Star Final Duel. With 724 pieces which was released in the year 215, this set has Luke Skywalker, Darth Vader, Royal Guard and Palpatine. This one is a great set because it will not take a lot from your space. It captures the Throne Room which is an addition to the great scene created with Luke, Vader and the Emperor. Another innovation is the redesigning of Vader’s helmet; which inside has little force lightning bolts too. Prepare to vertically set this. Snowspeeder. With 219 pieces, which was released in the year 2014, this set, on the other hand, is almost synonymous to the TIE Fighter; however, this is not the first iteration of the ship. Regardless, it improved. It became better with age. Originally, the model was gray, while this one is white. One of the modifications is that this has gotten even bigger with more heft. This can also fire harpoon - a task a snowpeeder does to bring down AT-ATs. AT-AT. With 1,064 pieces, this set brings you Luke Skywalker (Rebel Pilot), AT-AT Pilot and Snowtrooper. This is the big, snow-bound brother of the AT-ST. While Lego already produced another AT-AT that features more blasters and pieces, this one from the year 2003 is still a much rougher design. The dark colours, snowtrooper speeder bike are like no other. They are also sleeker and better. UCS Sandcrawler. With 3,296 pieces, this set got Owen Lars, Jawa (x4), Luke Skywalker, R2-D2, C-3P0, R2 Unit, Gonk Droid, R1-Series Droid and Wed Tradwell Droid. Just look at the number of pieces this set features and you will already have an idea how a ton of things might be going on in this collection. Indeed, this is worth the value of your money. Play with this for it is not meant to be displayed. X-Wing. With 560 pieces, this set has Jek Porkins, R5-D8, and Luke Skywalker. You might be confronted in the decision to either getting the standard X-Wing or the UCS version. However, this can be a more affordable choice provided that it goes with UCS inclusions. You hold the decision of either expanding or contracting the wings into an X shape. Aside from this, this X-Wing collection is the sole set to have Porkins, and the World’s Most Unlikely Rebel Fighter Pilot. Make your Star Wars fan heart happy and check out these Lego Star Wars sets.